Do you know... The Little Poulbot of Montmartre? 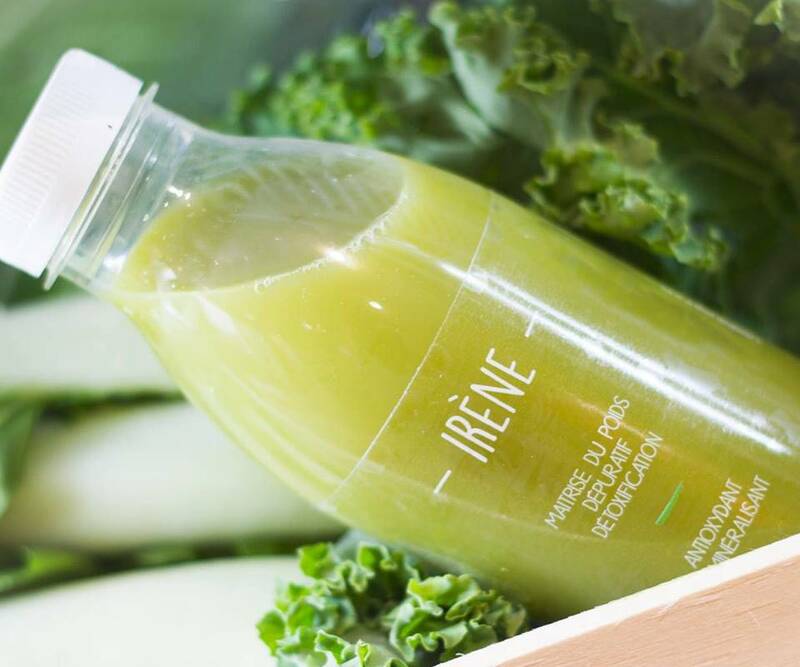 Focus on the Véjuice, the organic juice bar. Coming back from Paris with nice pictures? It's so simple and everyone can do it because the capital has so many excellent views. But do you think you can bring a little history with you? Read us, we tell you everything! 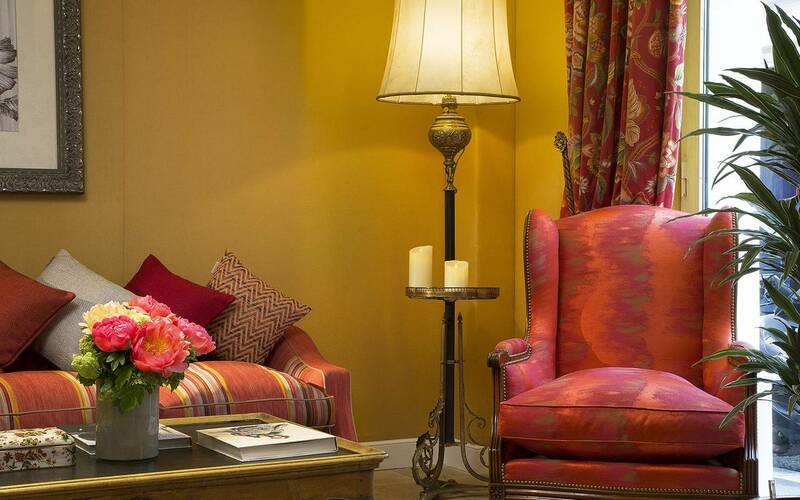 You may have noticed them, they hide and make all the charm of the district around the Relais Montmartre. These little children's heads with caps, big eyes and a mischievous look are on postcard, tag or poster displays. The name Poulbot comes from its creator: Francisque Poulbot. Drawer who lived for many years on the Butte Montmartre (you know, this famous hill that makes you appreciate your comfortable room even more after a long walk), F. Poulbot illustrates posters. 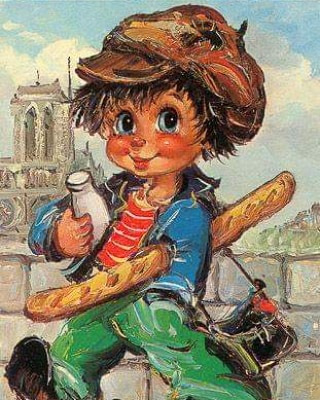 By observing the life of the streets of Montmartre, he created this character known to all French people. Despite their large (often blue) eyes and beautiful smile, the Poulbots hide behind this expression the misery of yesteryear. Heirs of Gavroche in Victor Hugo's Les Misérables, they represent a whole generation of children from Montmartre at a time when it was still only a village outside Paris, where children sometimes had to steal to eat. Over the years, Poulbot has become the face of the association "les dispenssaires des petits poulbots" which has become an icon representing the Parisian titi, the post-war period and currently the "real Paris". Before being attached to Paris, this street was part of the village of Montmartre. Currently part of the capital, these 70 metres long will allow you to feel the very essence of Montmartre. Information : Rue Poulbot - 700 mètres from the Relais Montmartre via la rue Lepic - 10-15 minutes walk. Located in the street of the same name, this restaurant with its very Parisian decoration offers traditional cuisine and traditional beers. The wine list is also quite rich in beautiful finds. Among its must-sees, "the lamb shoulder in a 7-hour way and its juice, apple granules with thyme" or "the swordfish salsa verde and coconut paimpol with chorizo". A restaurant that only offers fresh food (three choices of starters, main courses and desserts) for a plebiscite of its customers from here or elsewhere. A very good address run by twins who have lived in the neighbourhood since the age of four. Informaiton : Restaurant le Poulbot - 3 rue Poulbot - 850 meters from the relais Montmartre via la rue Lepic - 10-15 minutes walk. Se ti è piaciuta questa notizia, condividila con i tuoi amici! What better way to get a full load of vitamins before you start a busy day of work or activities? This is what Vejuice offers, located at number 1 on the same street as our establishment: Constance Street. This juice bar offers fresh juices made from 100% organic fruit and vegetables every day. In order to preserve all their nutritional values, the juices are pressed slowly by extraction and not by centrifuging. Just a few meters from the hotel, Vejuice offers five-day "detox" programs to counter stress and fatigue or to take a taste break throughout the day. To accompany the different juices, healthy salads can complete your order. Held by a passionate person, do not be hesitates to ask him what you want and let him guide you. 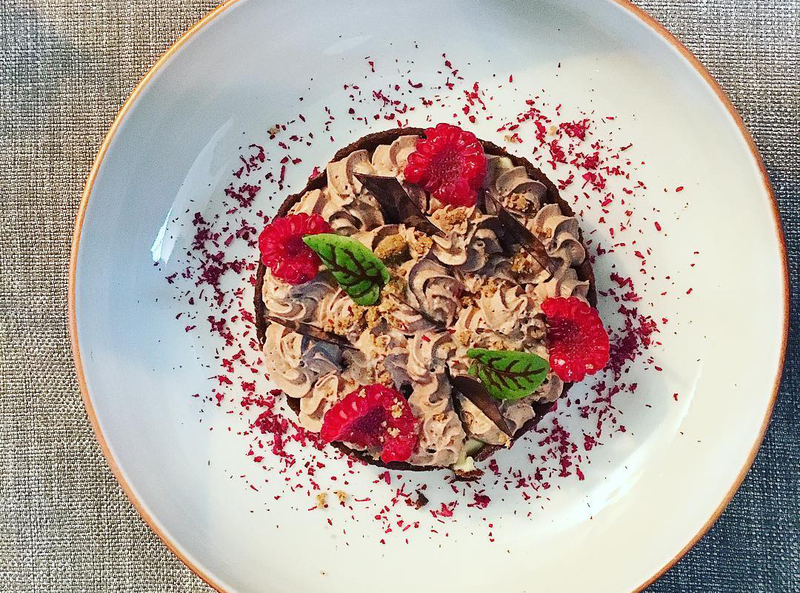 Whether it's the juice of the day, the soup of the season or a break after climbing all the steps to reach Montmartre during your walk, you now know where to get back into shape. 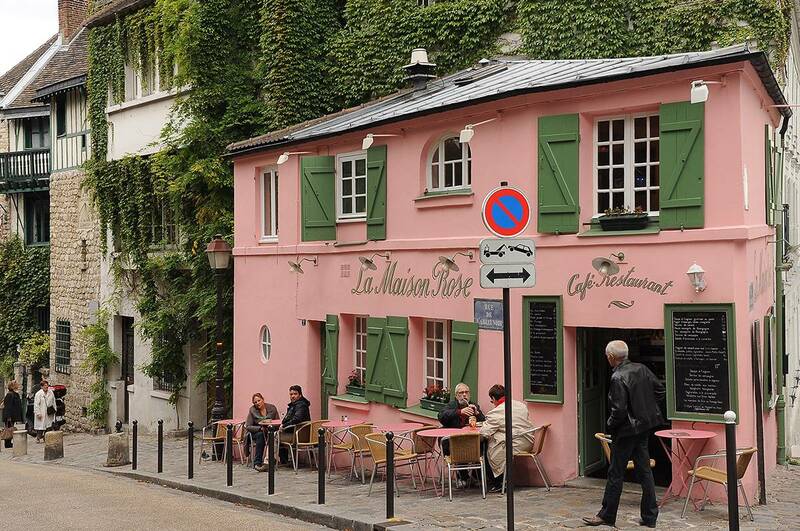 To reach this restaurant, you will have to go up the rue Lepic, almost at the top of Montmartre. The business started in 2013 and is run by Antonin Prion, who is floor manager and had the great idea of being trilingual. He is also the associate of Frédéric Paul Chartier, who works in the kitchen. We will talk about him a bit later. Past the entrance is a small room with less than 30 seats where intimacy seems to be a priority. We were immediately taken in hand and placed where we wish. Each dish is explained. The service is as attentive and friendly as its is professional. The menu is simple: At noon, the main course is €12, the starter/main course or main course/dessert is €12, and the starter/main course and dessert is €18. In the evening, both services are €25 and the 3 services are €33. We start with a split pea soup made with new onions, thyme and bay leaves, button mushrooms, bacon, cream, chervil, and pistachios. It is topped off by Antonin who pours the soup then the cream in front of you. We immediately taste the freshness of the peas, the chewiness of the mushroom, and the crunchiness of the pistachios. Then comes the salty smoked bacon that bursts in the mouth. The dish is beautiful, it is very balanced in flavor and texture. For a starter at €7, it is extremely well done and worthy of a very good restaurant. This dish and the following were accompanied by a Morgon from Laurent Thévenet (€6.50 a glass), which is filled with beautiful hints of red fruit and lasts quite long in the mouth. We continued with a rizotto and Serrano ham. The dish was served less than 10 minutes after the first plate was sent back to the kitchen. Nice timing when we know that a rizotto takes about thirty minutes. The rizotto with mascarpone, is mixed with daïkons (Japanese white radish), topped by a bed of gourmet peas, slices of serrano, all brought together with preserved garlic. The dish is well balanced: It is both crunchy with the daikon and melting with mascarpone. The sugar from the garlic confit is well-balanced with the salty Serrano. Another great restaurant for only €12 per dish. I then chose a very simple dessert from my childhood: French toast. It is served with salted butter caramel. It is crispy on the surface and moist in the middle. Accompanied by salted butter, it is really excellent and although I was full, I just had to finish it. Special greetings to the chef Frédéric Paul Chartier, who we had met before at La Balançoire. He is talented, respects the product, and loves his job as much as his customers. He was trained at the famous Ferrandi school and then joined the brigade of Ducasse's Eiffel Tower brewery. This small house, located at the corner of the rue des Saules and l’Abreuvoir, has been immortalized by many painters, including Maurice Utrillo and Bernard Buffet. We don't know the exact year the house was built, but probably before 1850. Here are the first two available photos, dating back to 1870 and 1887 respectively. We don't know who owned this modest home at that time. Pablo Picasso and Carlos Casagemas had met in Barcelona at the beginning of the 1900. More financially well-off than Picasso, it is Casagemas who proposes and finances their first trip to Paris. There, they meet Laure Germaine Gargalllo, who was a dancer at the Moulin Rouge. Casagemas falls in love with the dancer, who repeatedly pushes away his advances. The painter gradually sinks into depression and alcoholism. During an evening at the Café de l'Hippodrome, on Boulevard de Clichy, on February 17, 1901, he committed suicide with a bullet to the head after first pointing his gun at his lover. Germaine was not greatly affected by the tragedy and married the painter Ramón Pichot Girones (1871-1925) only a year later. Picasso was deeply shocked. He would later say it was this incident that initiated his blue period, in which one of the iconic illustrations is "La Vie" (1903), depicting Carlos Casagemas in the arms of his lover. Germaine appears in several of the Master's paintings, such as "Woman with a shawl" (1902) and "Au Lapin Agile" (1905). We can think that Laure Germaine created her business between 1920 and 1923: This postcard, with a "La Semeuse" (The Sower) 5-centimes stamp, can be estimated to be after 1908, and the photo of Eugène Atget dating from 1910, shows a facade without a sign. The first existing pictures that show a facade with a sign date from 1920 and 1923. Having become the owner of this modest canteen, Germaine Pichot, called "Aunt Laure" by close friends, hosted Albert Camus, Suzanne Valadon, and Maurice Utrillo. Years go by. Ravaged by syphilis, Germaine Pichot died in December 1948. Picasso remained loyal, visiting her until the end. 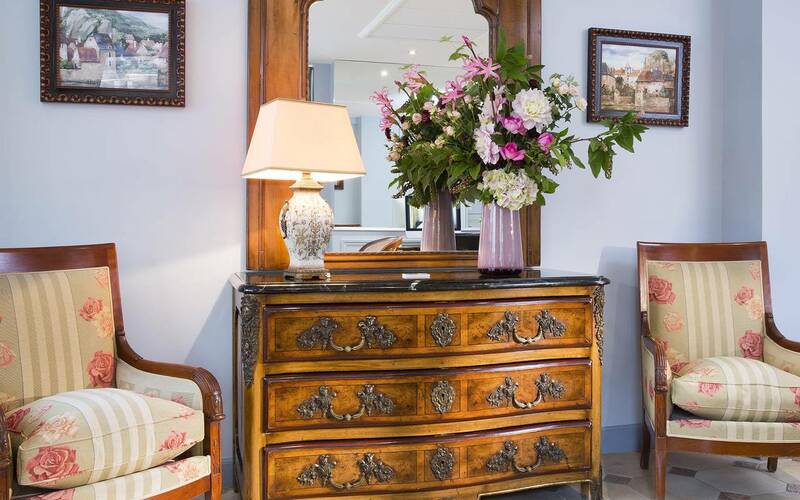 The house was purchased in the same month by Béatrice Miolano, who took over its management for a few years before entrusting management to a Montmartre figure called "Toutoune", and who held onto la Maison Rose for 25 years. From one stewardship to the next, the business declines and becomes a tourist image that is no longer frequented by the Montmartre residents. Flashback on the life and personality of the artist through 3 works of the museum. The Dali space has just reopened after several months of work. The Museum's collection focuses particularly on sculpture, the less well-known side of Dali's work, and also includes engravings and lithographs. Les yeux surréalistes (Surrealist eyes) - Architectural project for a tower "La casa de los oyos". Dali is outraged by the bars and towers which, according to him, destroy the landscape and urban life. His posture is in line with that of Gaudi and the opposite of that of Le Corbusier. Entropy, degradation, death have obsessed Salvador Dali. The stopped watch, which extends over a body empty of life (branch, horse, inert material) and flows like cheese, opposes the material that persists (background), and is a representation of the mind that sends us back to God. This work had found its place in the personal office of the artist, on his chimney. On a Baguette, whose cruston is one of the favorite talismans of the painter, Dali poses an inkwell representing the Angelus of Millet, canvas which obsesses him and of which he produced several versions. (Facing, archaeological reminiscence of the Millet Angelus - 1935). The ants we see on the face are an iconic vision also coming back insistently in the works of the Master. 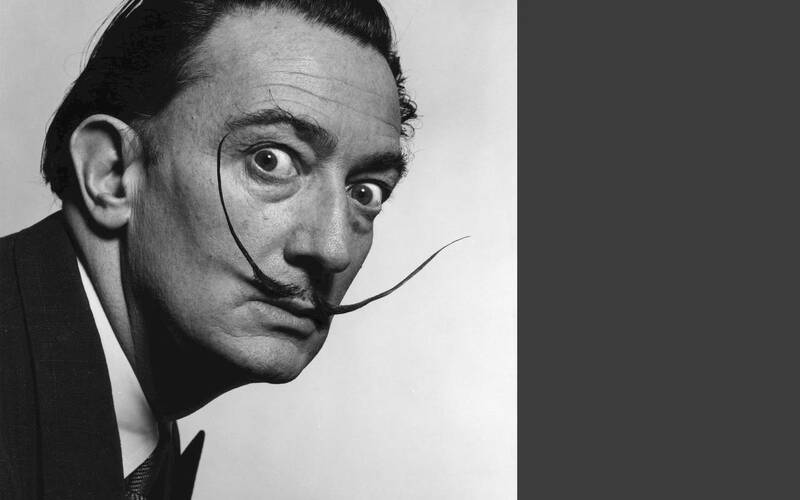 Salvador Dali was born on May 11, 1904 in Figueras. He was given the same first name as his brother who died a few months before his birth. His authoritarian father, barely tolerates that his son is fond of art. His parents took him to his brother's grave at the age of 5, telling him that he was the reincarnation of his brother. He lost his mother at the age of 16 and his father married the sister of the deceased, to continue the register of assimilation of the individual within the family. His search for "concentric eccentricity", as he called it, only aims to push the singularity of his person ever further. He succeeds in this exercise with talent and not without humor. At the end of his studies, on the advice of Joan Miró, Salvador Dali goes to Paris for the first time in 1927. He meets Pablo Picasso whom he admires as much as he perceives him as a rival. Dali finds his own style from 1929, when he becomes full surrealist and invents the paranoid-critical method. He stays in Paris again from 1930 to 1932 and frequents surrealist artists such as André Breton, Max Ernst, Yves Tanguy, René Magritte and meets his future wife, Gala, who lived in Montmartre, rue Becquerel with Paul Eluard. When a journalist asks him the question, "Are you living in an era where you can still make a scandal?" He replies, "It is possible to strike in an effective way on the imagination of crowds with new means of cretinisation like television, radio, press." Where can you eat the best meat in Montmartre? We've fallen for this gastronomic restaurant, rated 2 toques by Gault Millau. This restaurant, founded more than 60 years ago, is located just two minutes away from the Relais Montmartre and is worth a look if you are a gourmet. Plus, it serves the best meat in Montmartre. The chef and business owner since 2012 is Octave Kasakolu. Trained by two-star chef Henri Faugeron, he has worked in restaurants for over 25 years and has been in the kitchen for 10. Passionate about and deeply invested in his job, Octave Kasakolu is always looking to create something new and has unlimited creativity. We will expand on why the culinary experience offered here is unusual. Octave Kasakolu is always on the lookout for something new. He uses his favorite districts and markets to conduct his research. He goes in the 15thdistrict, rue des entrepreneurs, for Iranian products. He also visits all the oriental and African stores for ingredients such sweet potatoes, ginger, items he had not thought of before, to work on and offer a creative dish that has, above all, a real culinary interest. Specialized in very high quality meat, the restaurant has its own maturing room, where the meat is carefully staled to obtain a pure product. The dried meats, as for them, are each chosen with care. Les tantes jeanne is the only restaurant in Montmartre to offer Kobe Beef (Japan) in its prestigious meat menu. This traditional meat is highly recognized for its marbled flavor and tenderness. But what will you eat? In addition to the 7 times tasting menu at €185, including a Kobe beef to which we will return, the menu, which is often renewed, offers 4 starters ranging from €12.50 to €24, and a plate of excellent charcuterie: dried Wagyu, Bellota Pata Negra, Galician rib steak... (€28). 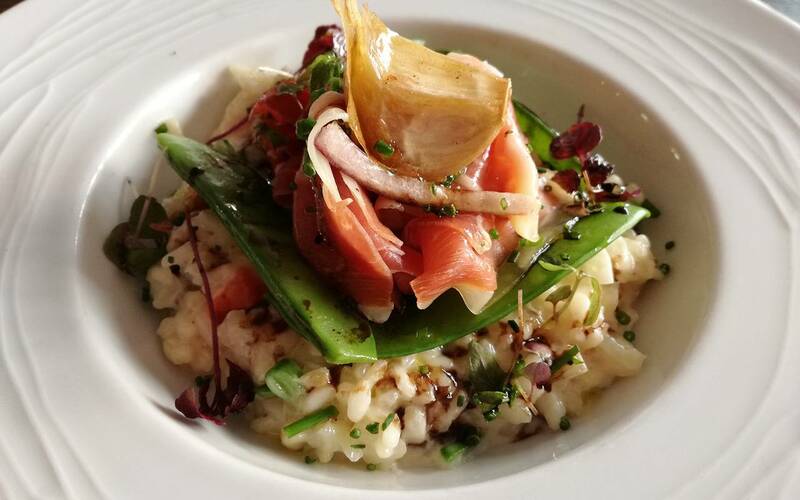 As for the dishes, there is, for example, this very fine Arctic char fillet, a high mountain fish that is usually found on 3-star menus, served with a barley syrup risotto, pike or flying fish eggs, and white butter. Depending on the season, you can order a deer filet beautifully served as a Tournedos Rossini, with a sauce made from sorrel and Iranian lemon, foie gras, spinach, boletus mushrooms, girolle mushrooms, and chanterelle mushrooms. We also recommend the famous black Angus, enjoyable, for example, with an side of smoked vegetables and flavored with rosemary and lemon thyme. The assortment of cheeses from Virginie Boularouah (address to discover) is a small wonder. The room is warm and the tables are tidy. Silver cutlery from Thiers, plates from manufacture de Monaco, everything is designed for good food that you can accompany with wines chosen from 600 bottles, with the advice of a sommelier chef. If you have room for dessert, try the "Comme une tatin", which has a crunchy chocolate base and whipped caramel. The arrangement is a poem on its own. Open Monday to Tuesday, from 6:00 pm to 11:30 pm and Wednesday to Sunday, from 12:00 pm to 3:00 pm and 6:00 pm to 11:30 pm. Non ci sono più camere disponibili per il periodo indicato. Il numero di persone indicate non corrisponde alla capienza delle camere. Il calcolo del miglior prezzo garantito ti permette di ottenere informazioni sulle tariffe dell’hotel provenienti da fonti affidabili e aggiornate in tempo reale. Cliccando sul pulsante di prenotazione presente sul sito ufficiale, accedi direttamente al sistema di prenotazione dell’hotel. L’operazione non comporta l’addebito di commissioni.